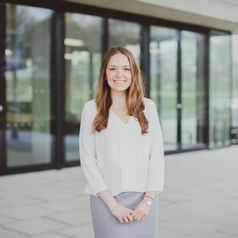 Catherine is a Project Officer at the Human Rights Centre, working on the Human Rights, Big Data and Technology Project, which is funded by the Economic and Social Research Council and the University of Essex. She holds degrees from the University of Nottingham (LLB (hons) 2009) and the University of Essex (LLM 2014). Her research interests are in the field of international human rights and humanitarian law, particularly the use of technology and big data for the protection and promotion of human rights, the use of force and UN peacekeeping. Catherine previously worked in the West Bank, were she facilitated advocacy and capacity building for projects focusing on food security and women’s rights. In 2013-2014 she worked as a Research Associate for the Human Rights in Iran Unit, providing support to the UN Special Rapporteur on the Situation of Human Rights in Iran. Prior to this she served as a legal intern in the Appeals Chamber of the International Criminal Tribunals for the former Yugoslavia and Rwanda.